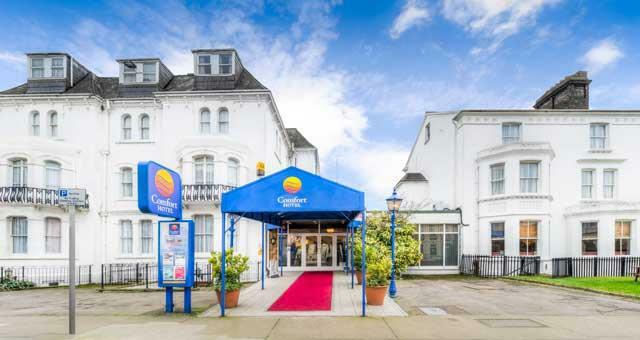 Comfort Hotel01493 855070work Group AccommodationThe Comfort Hotel, Great Yarmouth, is pleased to welcome staying groups and provides a range of group friendly rates/incentives to enhance your break. 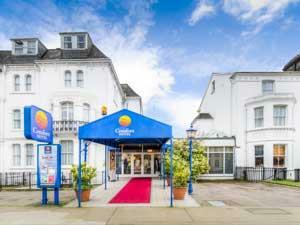 Ideally located just a minute's walk from Great Yarmouth's Golden Mile hotel facilities include 50 tastefully decorated en suite bedrooms all with tea/coffee making facilities, cable television, telephone, radio/alarm, hairdryer & free WiFi internet access. Our restaurant, The Grill, offers a range of menus & tastes over the week and with a wine list to compliment all at competitive prices along with our well stocked Lookout Bar offering bar meals and light bites. The Comfort Hotel, Great Yarmouth, is pleased to welcome staying groups and provides a range of group friendly rates/incentives to enhance your break. Special group packages are available. Please contact directly for details. There is a regular local bus service from Norwich to Great Yarmouth. With connecting trains from Norwich to London, Liverpool Street. Peterborough, Cambridge and Ely.